Dear Parents and guardians,This week has been a strange one for me not being in school and following the week from afar. The Apple Leadership Summit has been a great success. The students, Faisal, William and Pelayo from M2, Julian from M3, David from M4 and Marta from D1 have been amazing and a real credit to the school. They have wowed delegates with their engineering skills, grasp of IT and ability to communicate powerfully. Many of the delegates are new to using technology and could not believe what the students had created. I would like to publicly congratulate them and Carmelo Sanchez and David Alvarez for their guidance. We will feature a couple of the students’ reflections in next week’s newsletter. Lanterna Education, a leading provider of IB preparation and revision courses, came into school on Monday to talk to our M5, D1 and D2 students. These sessions were tailored to the different needs of students at the three stages of their education: pre-IB Diploma, first year and final year Diploma. 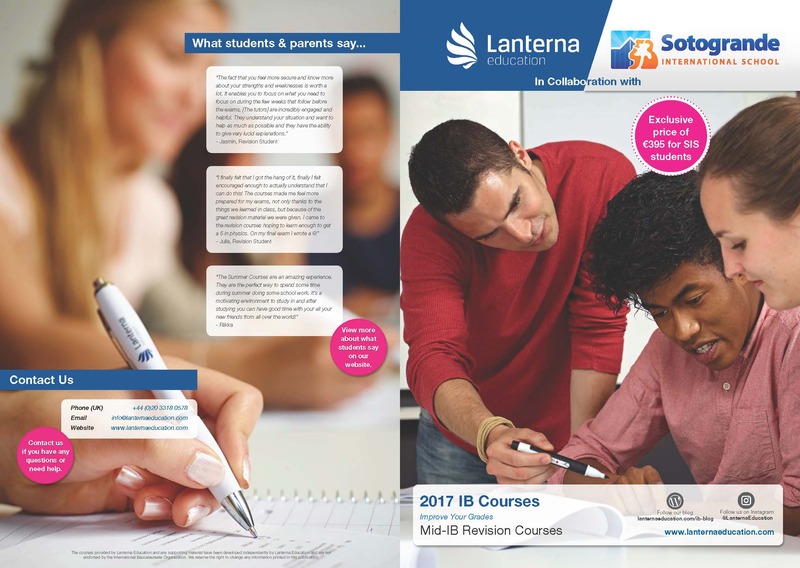 Lanterna offer residential IB workshops and we are delighted to announce that they will be offering mid-IB revision courses at SIS this summer at a specially discounted rate for SIS students (www.lanternaeducation.com). On Tuesday P3 went on a unit-based trip to Pueblo Nuevo where they were able to practise their mapping skills and observe the local area. On Wednesday Mr. Gibson and the PE team took the cross-country team to Sunlands School to compete in the annual Costa championship. Students have been training all week to enable them to perform to their very best and it showed! Congratulations to our students for achieving first place out of 10 schools. 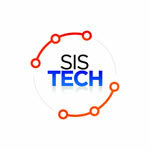 This is the first time in SIS’ history! Great effort PE Team! On Thursday morning we received the results of the Inter schools writing competition held last term and were delighted to learn of more successes for Sotogrande students. Full results in Secondary section, however I would like to say ‘Well done’ to all the winners and particular congratulations to Maddie Peacock. Today was this month’s ‘Send a child to school’ day. 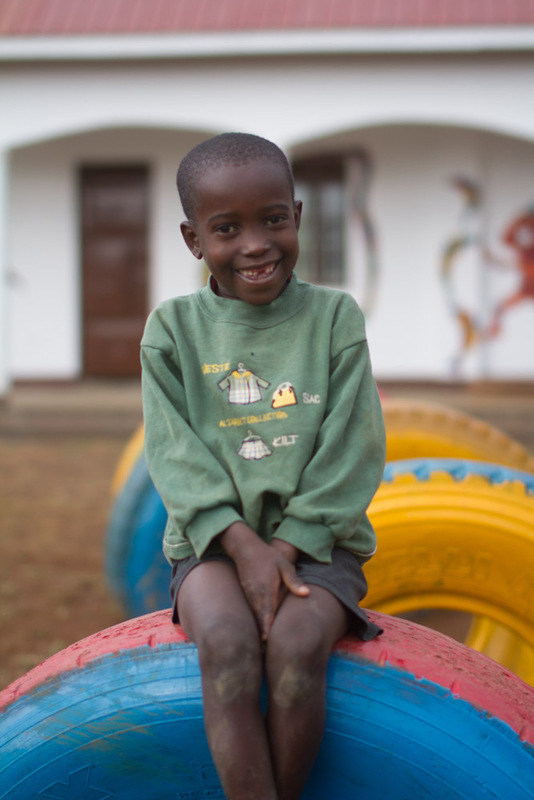 Thank you to everyone involved, giving children the opportunity to go to school next year is an immeasurable gift. Finally I would like to end with a plea from a student about traffic and road safety. Students walking to school, mainly from the Almenara direction, are finding it increasingly unsafe crossing roads near the roundabout, due partly to the speed of through traffic, but also because of the number of parents stopping to drop off students on and near the roundabout. Students and parents have also complained that some drivers ignore the zebra crossings and many are driving much too fast down the central area in the lower car park. This is particularly dangerous as this is where many families with very young children and buggies park. We understand that life is busy, but please respect our community and take a little longer to enter and leave our vicinity so others feel safe. Wishing you a safe and peaceful weekend. Last Thursday and Friday 32 SIS M5-D2 and 21 SI Stage School students took a range of LAMDA examinations (London Academy of Dramatic Arts). Nerves were high as the students ran their scenes waiting for the bell of the visiting examiner from the UK. These exams are very rigorous and the Bronze, Silver and Gold Awards gain UCAS points equivalent to an extra A-level. We are proud of our students who tested their talent in group devised performance work, monologues, duologues and musical theatre and we are keeping our fingers crossed for the excellent results they deserve. On Tuesday Andrea Bennett (PYP Coordinator) and I led a workshop for new parent ambassadors. This workshop focused on how we communicate to the SIS community about the Primary Years Programme (PYP) and inquiry. It was a hands-on session where parents were able to explore our main forms of communication, ask questions and at the same time gain a better understanding of approaches to teaching and learning and the Inquiry Cycle. Thank you to everyone who attended. On Tuesday 24th January Sodexho surprised the lower primary children with a fun activity to amuse them during lunch. Two animators performed magic, a comedy act and a spectacular dance with impossibly big wings and balloons that delighted the children. The ski/snowboard competition season has begun in Sierra Nevada. In the first one, TROFEO MARIA JOSE RIENDA, Carla from P1 came third in Ski. In a couple of weeks time Carla will be competing in the Andalucian Snowboarding Championship. Good luck Carla, we look forward to hearing all about it. On this trip P3 located the amenities in Pueblo Nuevo, found where they were and recorded them on a tally chart. Back at school they discussed how the amenities could be represented with a key and symbols. Using a key, they then worked hard to complete an imaginary map of their own. Each of these fantastic chalk drawings by Laura from our Fundamentals Team tells its own story, full of laughter fun and imagination, placing the children at the heart of an adventure! The photos will be used to make a calendar for the children to share with their families. Last Friday the M3 Individuals and Societies’ students took part in a formal debate on immigration. The motion for the debate was “This house believes that all barriers to immigration should be removed.” The quality of the debate was impressive and a special recognition goes to Olivia Wang for her contribution to this event. The Language and Literature Department are delighted to congratulate the following students who were all placed in the top 3 in the recent creative writing competition at Swans School! Madeline Peacock M4 was the overall winner of the English group. Well done! Carmen Perez De La Blanca Echevarria D1: 3rd, writing in English. Ana Rivera Montero M4 and Maria Romero Martin M3: both 2nd, writing in Spanish. Michelle Ernstsen Schmidt : 3rd, writing in Spanish. The languages department are exceptionally proud of your achievements. How much did we raise last year and which school initiatives did we support? What is the latest update on the cantina? Would you like to join the PTA committee? 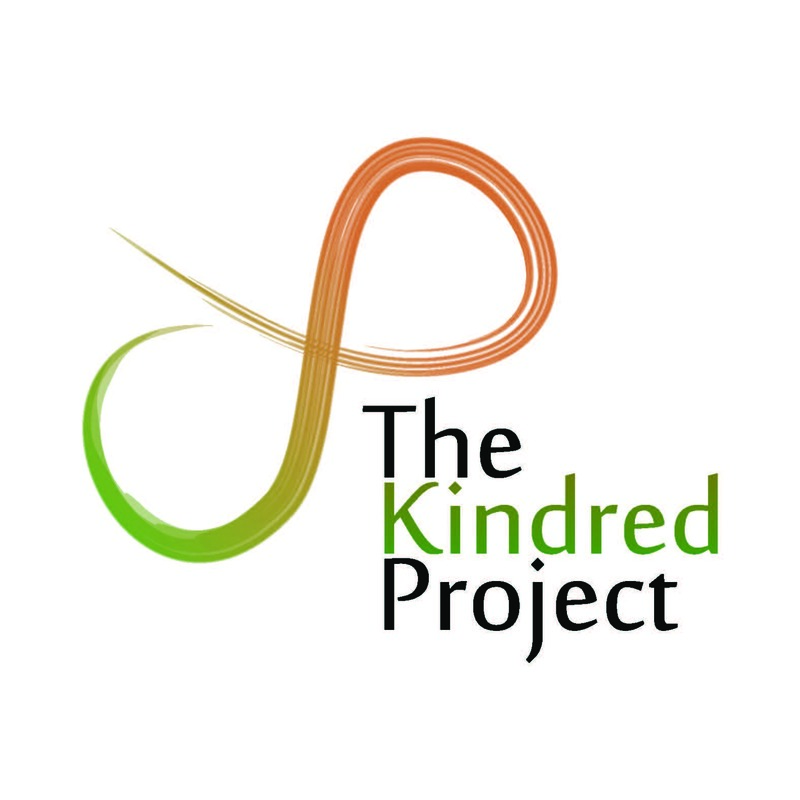 Would you like to know more about the new Advisory Board? Come and join us to learn more about what we do and the exciting year ahead! Today was ‘Send a Child to School’ day where students get to come in home clothes in exchange for 1€ that goes towards their year group’s sponsored child at Nabugabo Community Learning Centre in Uganda. Just through Send a Child to School this year all 15 year groups at SIS (EC1-D2) are close to hitting their target of securing a primary education for 15 children at our partner school in Uganda. Well done to everyone today, thank you for your outstanding support and contribution to this great cause. Also, tonight is the long-awaited SotoSmash night organised by Vlad in D1. It is a DJ night held for M5+ students from 8pm-11pm in the SIS theatre. Tickets are still on sale! All proceeds are going towards our *NEW* sponsorship programme in Ecuador. It’s guaranteed to be a great night! ASSIST is a free service offered by Sotogrande International School (SIS) to help and support newly arrived families to quickly find solutions to their relocation issues, their domestic and personal needs by using the buying power of the SIS community to negotiate discounts, deals and/or privileges from local suppliers.